Sydney has already seen the launch of plant-based pizza and vegan fish and chips in recent weeks and now a burger restaurant is ditching animal products from the menu too. 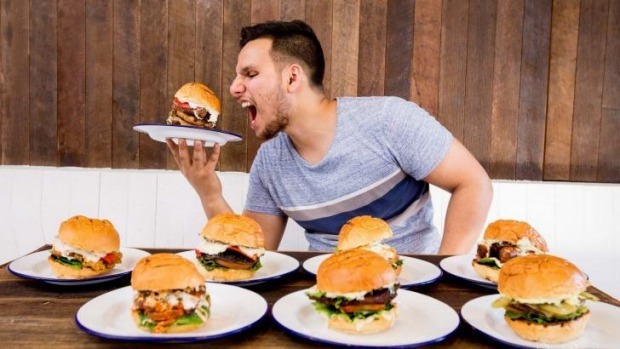 Following in the footsteps of Gigi's Pizzeria and Bliss and Chips in Newtown, Randwick's Soul Burger will be wholly plant-based from December 4. This is not the first time the outlet has dabbled in vegan burgers, with owner Amit Tewari having previously shown a passion for animal welfare by introducing the concepts of a "flexitarian" menu. According to Tewari, being a flexitarian essentially means you care about animal welfare. "The idea behind it was you didn't have to be a vegan, or an absolute boycotter of all animal products to be involved in the debate," he says. "You could have a middle ground." 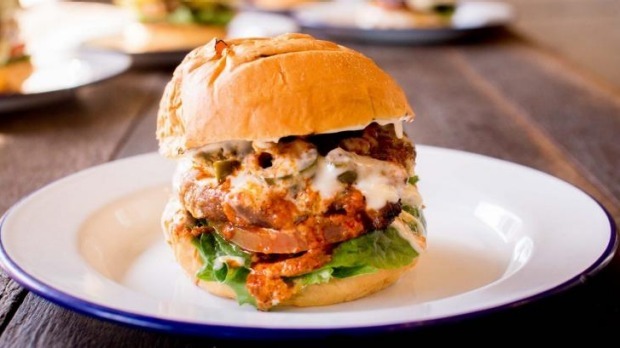 While the move to an exclusive vegan menu has been slowly in the works, Soul Burger has always offered to "veganise" any item from the menu, from vegan cheese and egg-free mayonnaise, to vegan chilli sauce. "The initial thought was if we only sold plant-based food then we ran the risk of turning off a majority of the population, and they would go and eat factory-farmed meat somewhere else. We would therefore be doing a disservice to animals." Tewari believes his endeavours to find the best plant-based beef, fish and sausages have paid off. "I actually tested the products through a lot of my friends who are medium-rare steak kind of guys and they gave them pretty good scores." Punters will get to choose between eight gourmet burgers, including a "chilli beef" number packed with plant-based beef, lettuce, tomato, jalapenos, chilli sauce, tomato relish and aioli ($12.50), and the sumo burger, loaded with plant-based beef, plant-based spicy sausage, field mushrooms, cheese, roasted peppers, lettuce, tomato, herbed mayo and tomato relish ($18). The menu also includes thick-cut beer battered fries, sweet potato fries and shakes made from house-churned, coconut-based ice cream. Tewari is hoping the change is well received by more than just the vegan community. "Preaching to the choir doesn't really help," he says. "I'd much rather have people that are hard-core meat eaters come in and say 'that's really good' and think about whether they want to eat more of it."